To travel the world by the Iron horse is one of my goals. 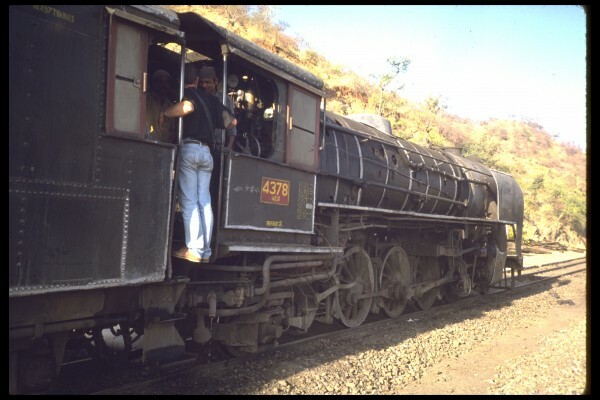 The constant click clack of the iron horse as it moves over the hardened steel tracks is like that of the metronome and lulls one into a slumber that is filled with vivid dreams of adventure. Some of the finest memories in my life are of reading a good book in my cabin/room and as I break from the scene in the book, and stare out the window, I watch life fade away as though it was a movie moving from one scene and then into another. just like the wheels rolling over those hardened tracks of steel, I watch life roll by and wonder what life is like for the poor cotton clad farmers working the fields outside. His rudimentary mud waddle hut lays across the way. I watch his wife tend the garden or carry the water pail on her head with then watch the thin white demon of smoke rise form the hovel’s roof to the heavens above while eagle circle in wide winged grace overhead looking for its prey. The farmer, clad in his white cotton-covering walks behind the slow moving water buffalo dragging a rudimentary hoe through the land. This scene has taken place since time immortal. A kingfisher is stationed on a telegraph line paralleling our movement. He waits patiently for the morsel that resides in the still ponds that punctuate the landscape. In the ripples , I see him take flight and he darts down like a fighter jet and scoops a small fish from the teaming pond. As the day progresses into night, we don our blue blazer and tie for a scrumptious meal served by the handsomely dressed waiters. 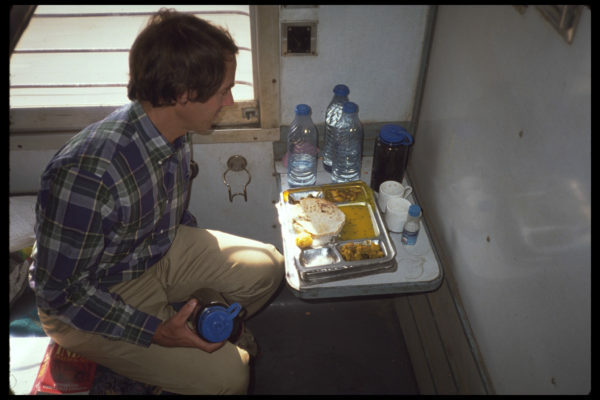 In first class, dinner could be served on fine linen table cloth with well prepared foods, tea or beer. We meet many other guest and as usual they are interesting and friendly and our conversations are stimulating. When retiring for the evening, one opens the book and reads well into the evening. With the hypnotic and syncopating rhythm of the hardened steel wheels over the steel tracks, one is lulled one into a very deep sleep. As the sun rays cracks the darkness and cover the landscape in hews of dark blues, scarlet and then orange, we rise for an early breakfast of eggs and tea. Another day to see life slip by on the steel tracks in the iron horse. 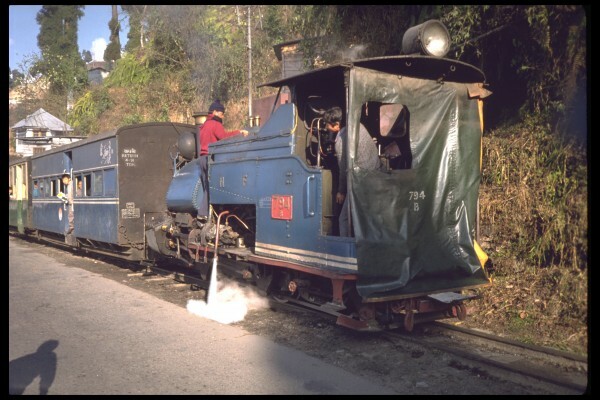 We rode the toy train part of the way to Darjeeling from Gorinpani and stayed at the Windermere. It is a true Jewel of India. It is well known to sophisticated travelers the world over and the Windermere is famous for its unique ambience and charm, and has been the subject of many leading stories in the international media. We were there in 1989 and it was very difficult to get in but that story will come later. Windermere is situated on historic Observatory Hill where Darjeeling began, and overlooks the Chowrasta, the town’s exclusive promenade. From Observatory Hill, one can glimpse Tibet, Bhutan, Nepal and Sikkim, against a stupendous backdrop of twenty of the highest mountain peaks in the world and is believed to be the focus and repository of life-enhancing cosmic energy. It was a delightful place to stay. It serves afternoon tea, surrounded by books, photos of expedition and previous guests photographs and letters. Our room was large, well appointed with a fire place and veranda. The staff even came to check whether we needed the open fire lit for the slightly chilly evening in our room and placed warm water bottles in our room every night. 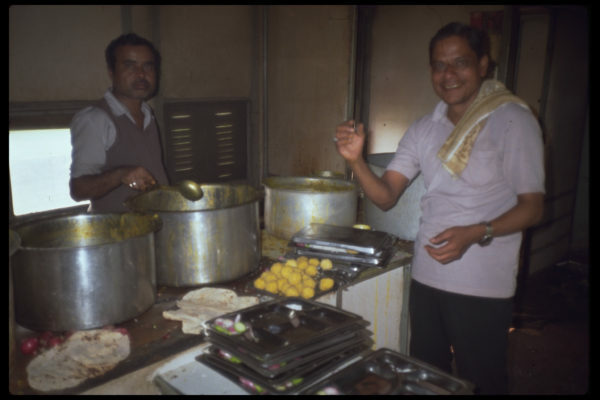 The staff is very courteous and friendly-always smiling and the meals are excellent.. There is always a choice of western or local food! The restaurant has a magnificent panoramic vista, and at night for dinner candles light it only, creating an atmospheric, cozy romantic ambience. 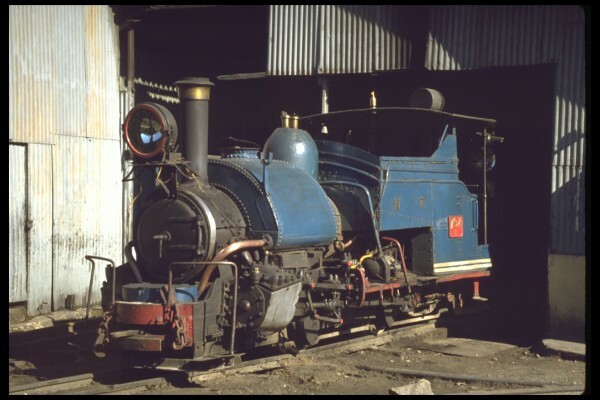 The town of Darjeeling is very cool and we would wonder the streets and visited the zoo and the Himalayan Mountaineering Institute. 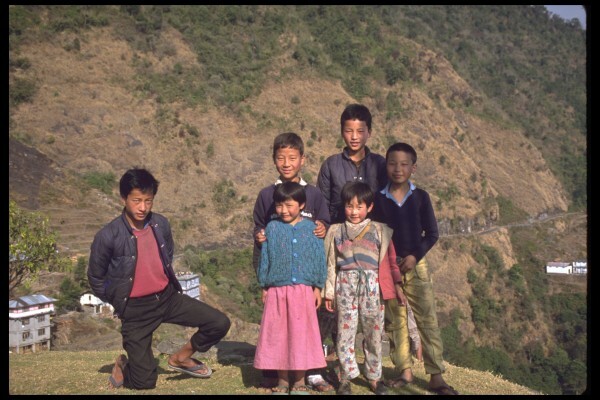 I bought a movie ticket to watch the Institutes climb of Kunjunjunga for every child in the local school to see one day it was great fun. The days were warm and the evening’s cold very agreeable and I would go again for the charm an elegance of a beautiful hotel. The Chogal of Sikhism, Namgyal and the American Debutante, Hope Cook met at the Windermere. 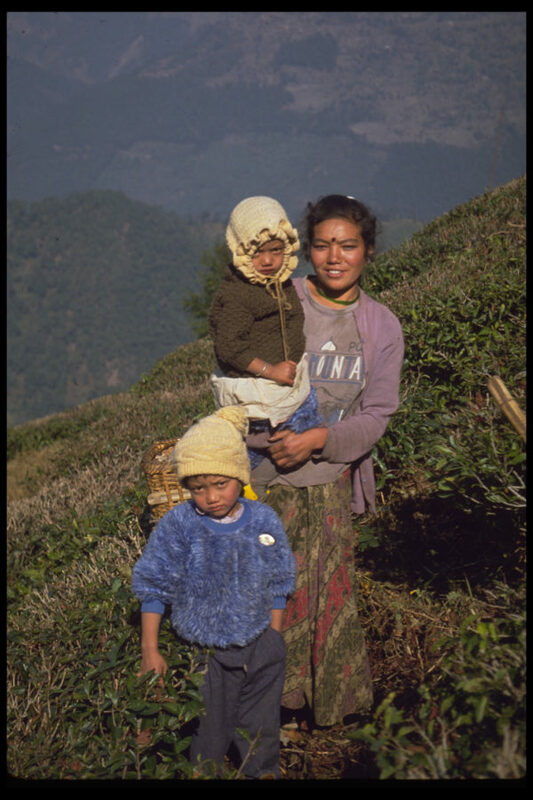 Their story is a real interesting story of love, power, death and the rebalancing of lives- please see Sikkim section next. . Hope Cooke was an American blue blood socialite who was the third wife of the Chogal (king) of Sikkim, the smallest kingdom of Asia. 1959, Hope went on a summer trip to India and met the Crown Prince of Sikkim, Namgyal in the bar of the Windermere Hotel in Darjeeling India. The King had now three wives the first being a love wife and this wife had al least one daughter. The love wife’s daughter married Doug Hamilton of Cockeysville Maryland. I have met them both and they are beautiful people. His second wife died in a car crash leaving two sons and a daughter. I tried to break in the palace grounds when I was there and I did but I was stopped before I could interview the Prince. So Hope became the third wife and he was nearly twice her age. 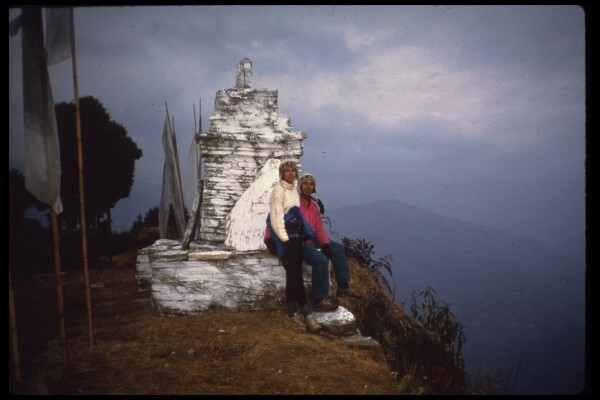 On 20 March 1963, Hope Cooke, married the Crown Prince of Sikkim in a Buddhist Monastery and it was reported in the National Geographic Journal. Large amounts of Hash flowed during the services and ceremonies. By about the mid 1970’s he confined to his palace under house arrest. [ Unfortunately, India with all of its power and people flooded the country and eventually through covert and overt means over through the Chogal, ending the reign of the family. This had to do with Hope’s desire for United Nations recognition of Sikkim as an independent country rather than a protectorate of India. When Hope had the Chogal make advances to China India had enough and took the country over. By 1973, the country and their marriage were crumbling and Sikkim was annexed by India. Cooke returned to New York with her two children and the king and hope were divorced and Namgyal died of cancer in 1982. For Arden and Myself it was a very special place. We had to bribe some Indian officials to get a special stamp in our passport to enter their protectorate. I then added days by writing over the required exit stamp giving us more time there- very cool idea Bob. Money opens the doors that are closed and helps those in need. 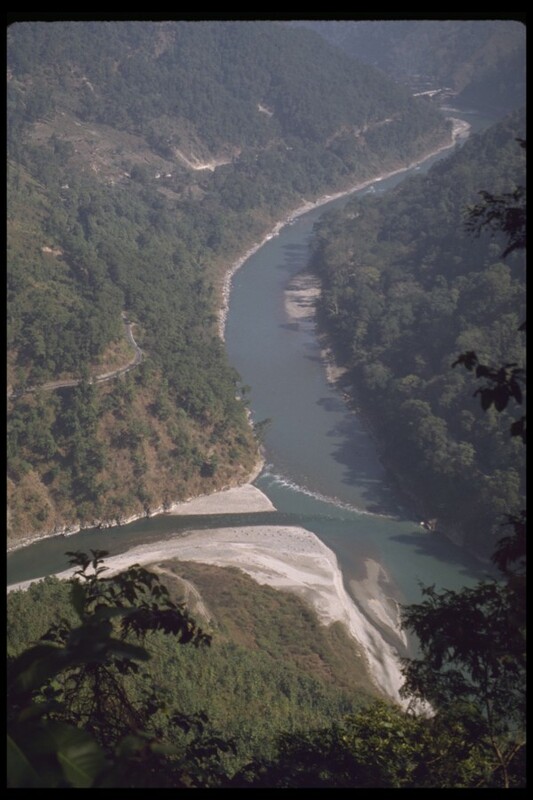 We traveled here overland in a bus through Darjeeling and I can say it would have been easy to have flown off the side of the road and floated down a few thousand feet – very deadly road. 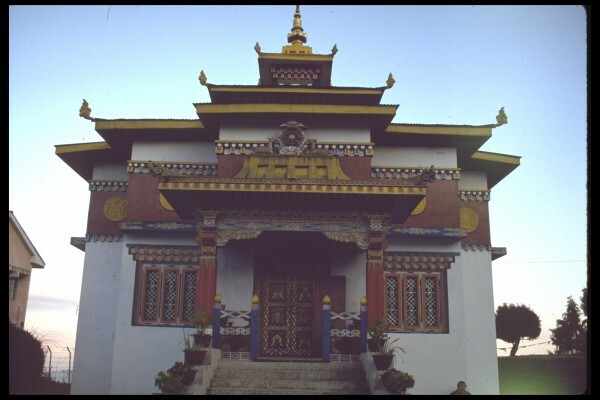 When we arrived in Gangtok we stayed at the Tibetan Hotel in Exile or something like this. It was a good hotel and it was here we met our friend Russell Gordon the only other America we met in like one year of travel. 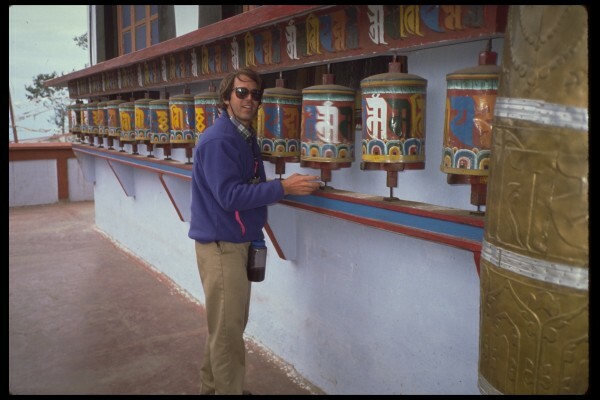 He was a very cool dude and his travels took him to some great places like Afghanistan and Cambodia – watch out for the landmines. 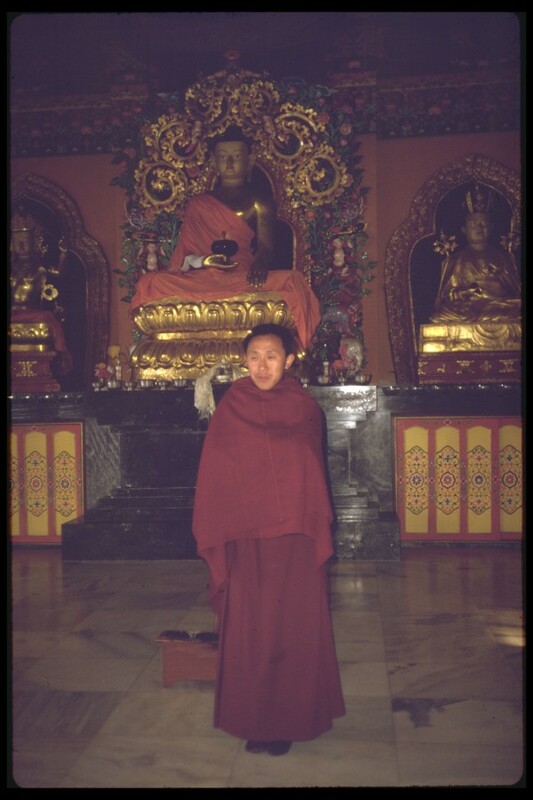 During the days in Gangtok, we wondered the town of and went for hikes to some monasteries. 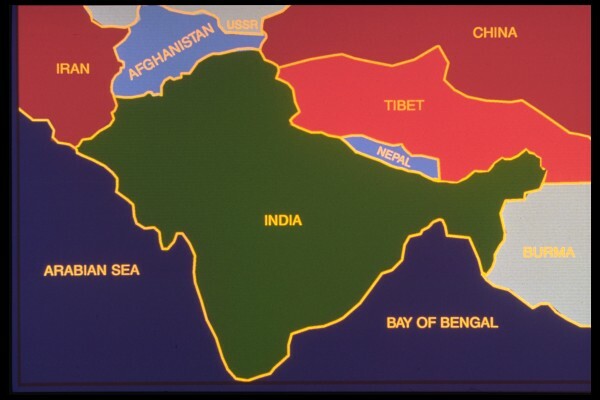 We traveled as far as we could ( India had guard stations all over the place) as far as Lachan quite a ways up towards China. I was hoping to cross not China but that was not happening. At one of the Monasteries we happened to see a very cool dance with some very cool outfits. Well after our stay we blew out on a bus to Kalipong. 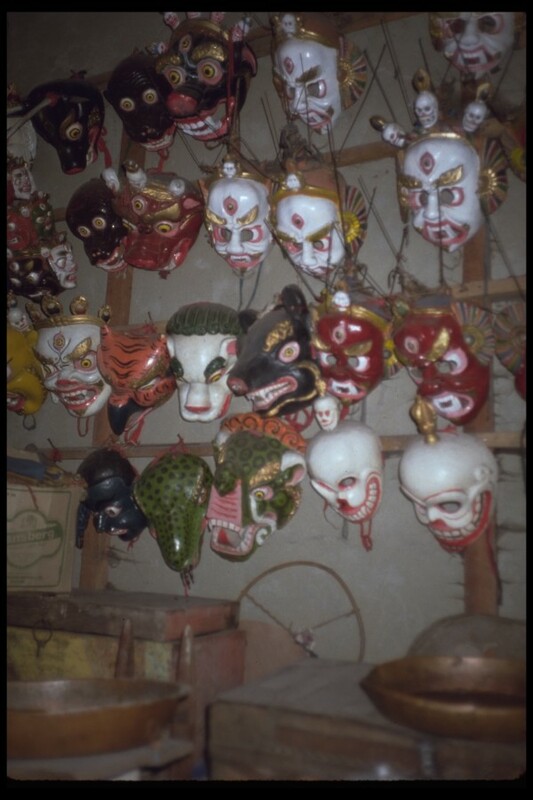 Please READ a real CIA STORY – Shadow Circus, the documentary. Exploring this little-known territory in a Shadow Circus traces the hidden history of a secret CIA operation to back Tibet’s fight for survival, one that lasted about 16 years. From CIA-supplied weapons, funding and training in guerrilla warfare in at Camp Hale in Leadville Colorado. It shows and interviews how the inner-workings behind the elusive mystery of both Tibet and the CIA work together in a power struggle against China. It’s movie gives first-hand accounts and combine it with rare and declassified archival media with diverse perspectives from scholars. The Tibetan insurgency was run out of Kalipong and Lo Montang ( Mustang) in Nepal. You must watch the movie Shadow Circus. The operation ended when China and The United states became friends under President Nixon. I interviewed some Tibetan Champas at a reeducation camp. Many stores here and to many to tell. Always the CIA every place – DAI long live the stingers in Afghanistan. 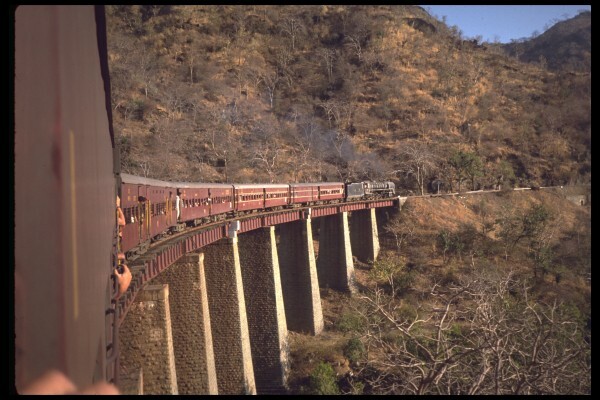 So from Kalipong we re-boarded the train for further travel to New Delhi where a host family awaited us and then onward to Massorie a British Hill station and onward to the desert. 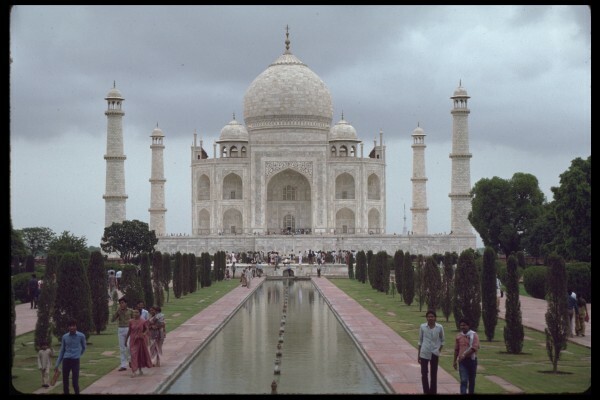 We saw the Taj and it was incredible but we really enjoyed the desert so here is the story. Rajasthan We boarded our train in Delhi and took off for Rajasthan the Great Indian Desert. We visited and stayed in many great towns along the way like: Jodhpur, Jaisalmer. The fort at Jaisalmer was like the one projected in the movie Bo Guest Fort that was at the end of the line near the Pakistani border. This was very very very cool. The train trip was described in greater detail above so I will mention the things we did here. is the pink city of Jaipur is steeped in Rajasthan history and tradition, forts, palaces, monuments, and old buildings speckled all across Jaipur, speak of its rich cultural heritage. The city was conceived and designed in 1727 AD by the Rajput king Sawai Jai Singh and was later named after him. The city looks almost magical at sunset when the sunrays paint different hues of pink on the walls. It was painted a `welcoming pink` during the visit of the Prince of Wales in 1876. We visited the Haw Mahal Palace and it is counted amongst the most gorgeous and captivating piece of work by the Rajput rulers. The Rajputs were strictly traditional and did not wish their women folk to be seen in public.. The building had special chambers for the women (multiple wives of the king) from where they could watch the day to day proceedings. So, Hawa Mahal was a window to the outer world for the royal ladies and the King ordered its construction in the year 1799. It is a five storeyed building today and houses an Archaeological Museum. The entire structure is made up of 953 small casements each with small lattice worked pink window, small balconies and arched roofs with hanging cornices. We visited the City Palace, Jaigarh Fort and the Amer Fort and finally the Tiger Fort. These were all great and unfortunately I can not remember where we stayed. Time erases memories. From Jaipur wee traveled to Jodhpur. we visited the very cool fort called Mehrangarh. Located atop a high hill, the impressive Mehrangarh Fort overshadows the other attraction of Jodhpur. 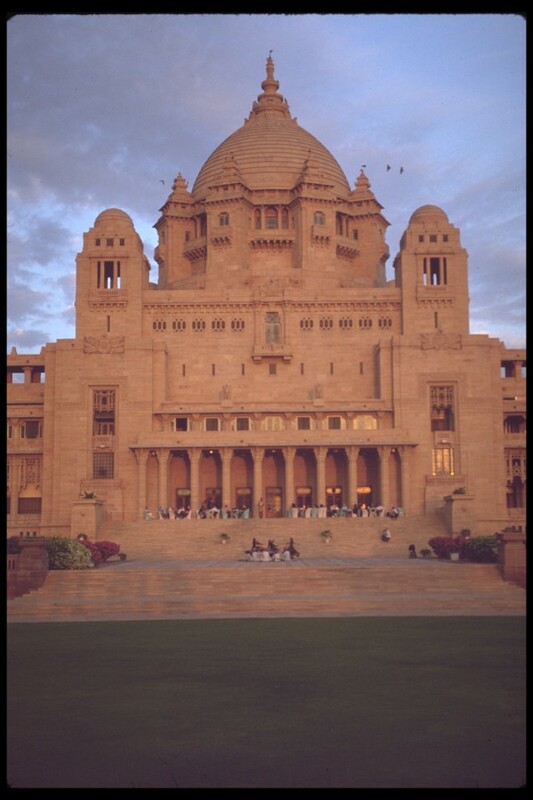 Maharaja Umaid Singh built the Umaid Bhawan Palace during the period of 1929-34 when Jodhpur was struck with famine to provide food for work to a large number of suffering people. Located at the top of the surrounding hills of the desert outside Jodhpur and the palace are built of beautiful yellow sandstone. The palace is a classic example of the Rajput architecture with extending balconies, large courtyards, huge terraces, blooming gardens and royal rooms. The palace, which spreads over an area of 26 acres (including the one covered by lawns and gardens), is segregated into three distinctive part. The royal family of Gaj Singh uses the first one of the three parts, grandson of Umaid Singh, for personal use while the second part has been converted into a museum. The third and the last part of the palace, today serves as a heritage hotel. The hotel belongs to the famous Taj Group and provides its guests a chance to take a virtual walk down the royal era. The special aspect about the hotel is that some of the old retainers of the royal household themselves look after the needs and comfort of the guests. This is a unique experience that is hard to get in any other hotel in the world. Every effort has been made in order to preserve the flavor of the grand royal residence- it is very cool and I highly recommend it. The hotel offers 71 air conditioned rooms and each room is beautifully decorated with original furniture of the palace. We dined at the Umaid Bhawan Palace Hotel and I can say it was a real treat. We enjoyed a variety of Indian cuisine and had cocktails on the open verandah while viewing some spectacular glimpses of the gardens and some classical dance routines and watch the brilliant sun set and cover the area in hues of arrange and scarlet. I played squash and billiards with Arden. We should have but did not use the magnificent pool in the basement of the palace. Dudes I would totally recommend this place for anyone. Jaisalmer was it for me it is very wicked cool. I loved all of it. It has been dubbed the `Golden City` because of the honey color imparted to its stone ramparts by the setting sun. No one who makes the effort to get to this remote sandy outpost leaves disappointed. It lies in the midst the golden waves of desert sand and the Jaisalmer Fort towers to a conspicuous height. The yellow sandstone that has been extensively used in its construction makes it appear a part of the sandy region. 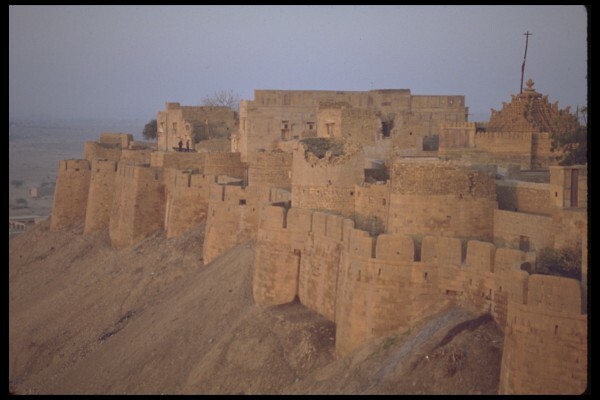 At one point of time in history, the Fort housed the entire population of Jaisalmer. 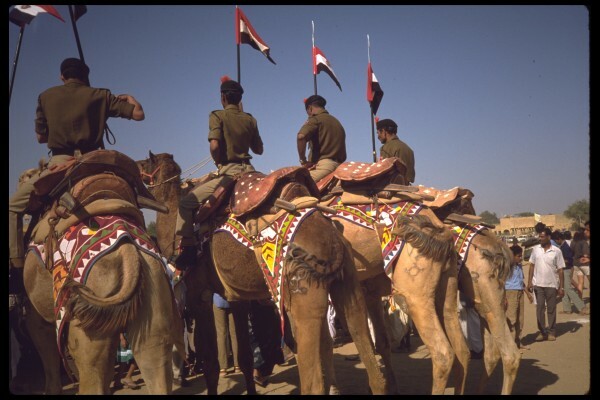 Today, the city of Jaisalmer is divided into two parts – the one that is within the fort and the other outside the fort. We wandered in its narrow winding lanes and visited the shops staying in the hotel. 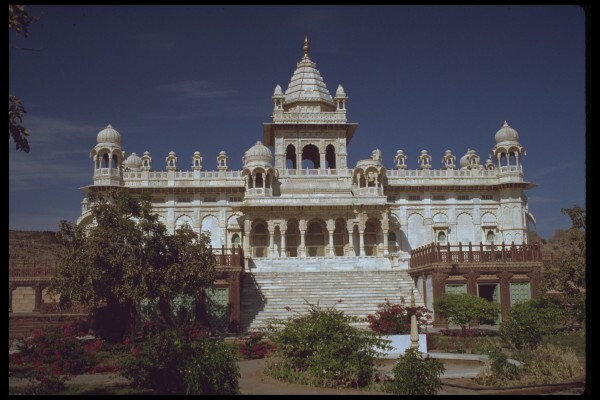 There are seven Jain temples are they are connected by a series of courtyards and walkways. They have walls, pillars, columns adorned with fine sculptures in sandstone and marble. These temples are an architectural marvel it was very cool to see and the Jain’s are very peace loving people and eat no meat at all. The wear tooth brushes on the their shoes so they kill nothing as they walk. 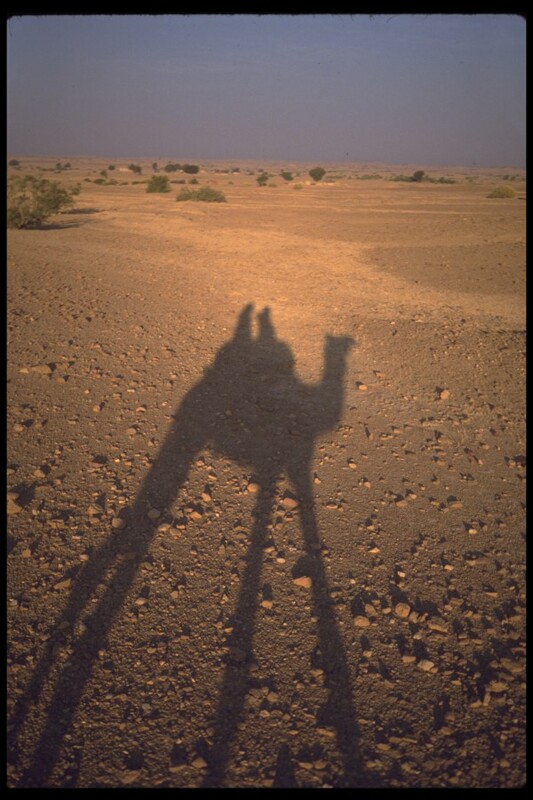 It was from here that we went camel camping in the desert. 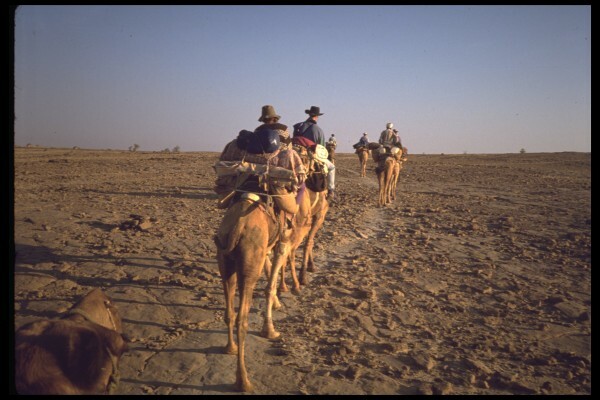 Four nights of really cool camel camping no tents no sleeping bags just camel blankets and a dung fire. I did Opium here and it made dreams come to live. 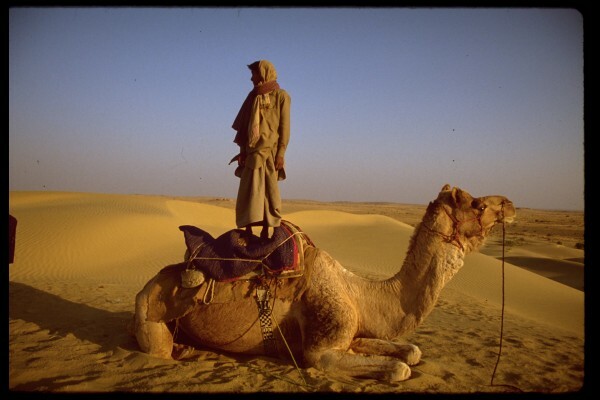 We left the camel camping for Udaipur on a train. The City Palace of Udaipur is one of the most remarkable constructions in Rajasthan. 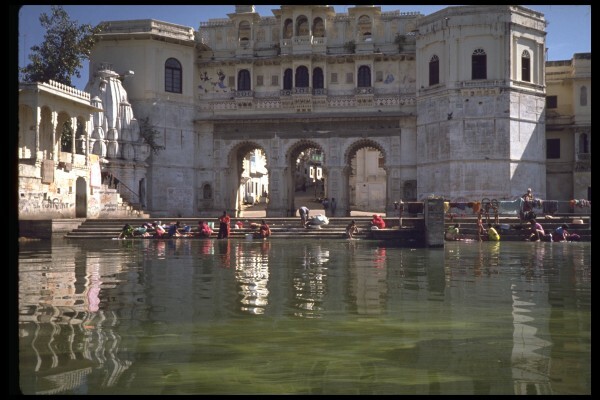 We stayed here and it is located in the heart of the city and towers over the Lake Pichola. The old part of the palace complex today serves as a museum that stores the legacy of the Rajput rulers for the visitors. Two of the newer portion of the palace has been converted into hotels and this is where we stayed. The City Palace architecture has courtyards and gardens inside the palace. It is built of granite and marble and we had a grand time here. 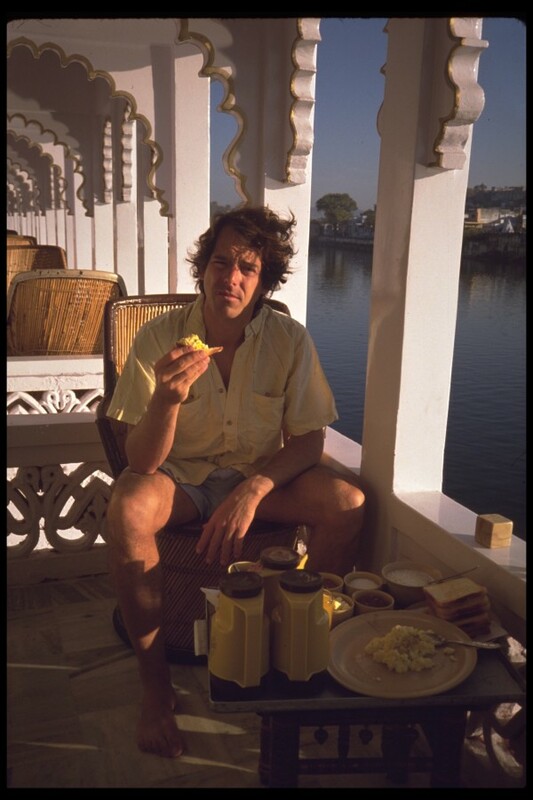 We also stayed in the Lake Palace Hotel. This white marble structure rises out of the Lake Pichola. 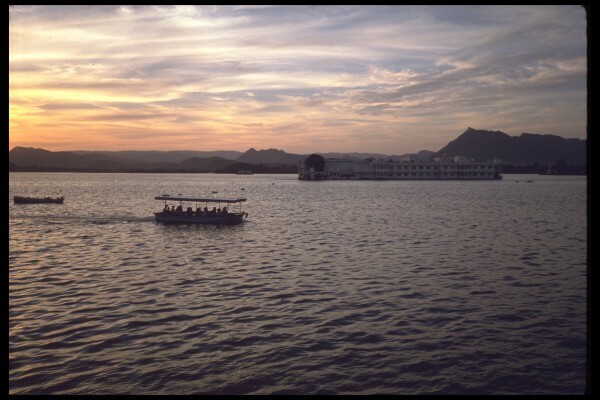 The beauty of the Lake Palace is incredible and one of the finest structures I have been to. The palace served as summer residence for the Rajput rulers who loved to retreat to this magnificent palace in midst of a lake. The rooms are all a classic example of sophisticated royalty. 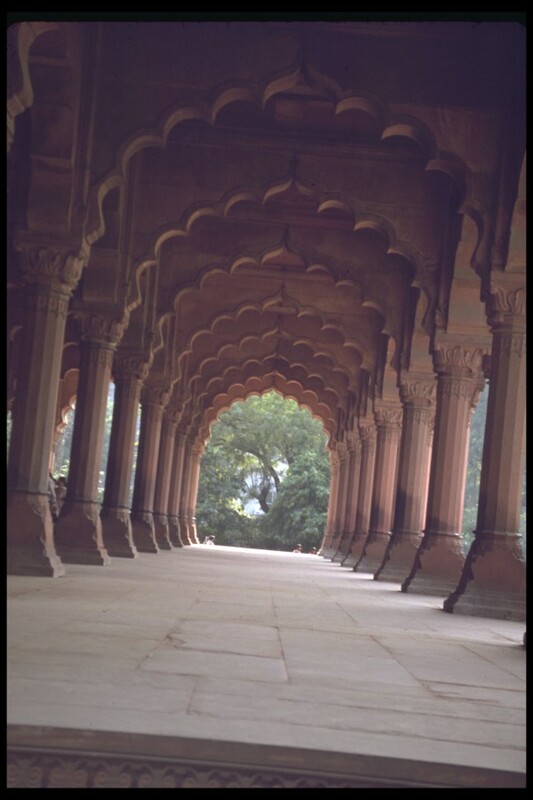 The beauty of the palace interiors is enhanced multifold because of the presence of cusped arches, inland stones of pink, green lotus leaves and painted mirrors. The courtyards have columns, pillared terraces, fountains and gardens, which adds to the beauty of the palace. Sunrise and sunset are awesome reds flowing all around. Our meals were scrumptious and it was truly an experience. 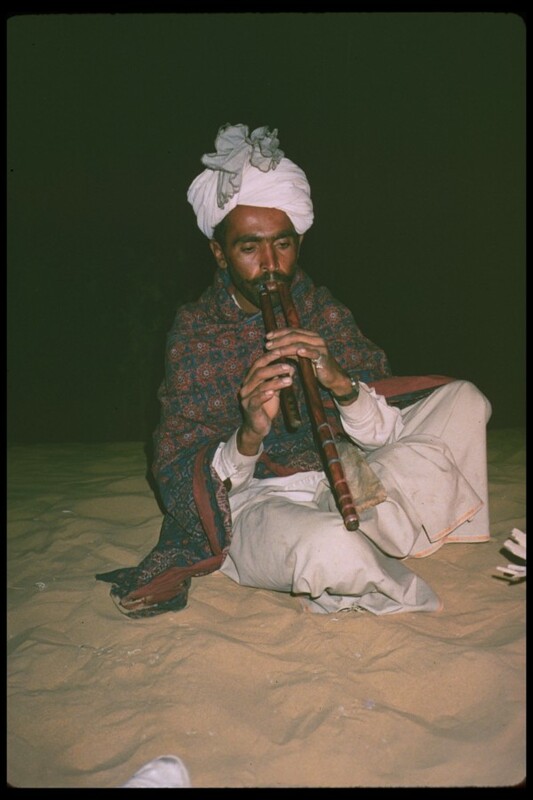 Every night there was a backdrop of classical Indian instrumental music. 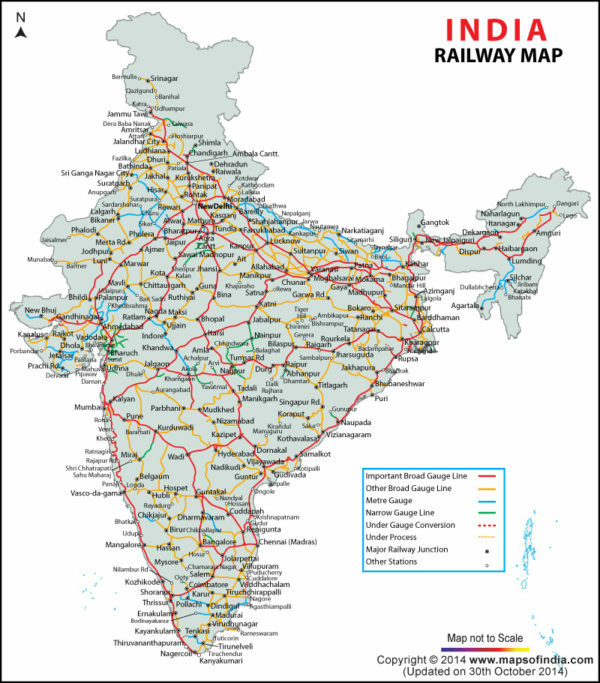 So it was here that we ended our month long travel through India by train. We traveled back to New Delhi to our host family and then traveled back up to Nepal for another month of trekking.